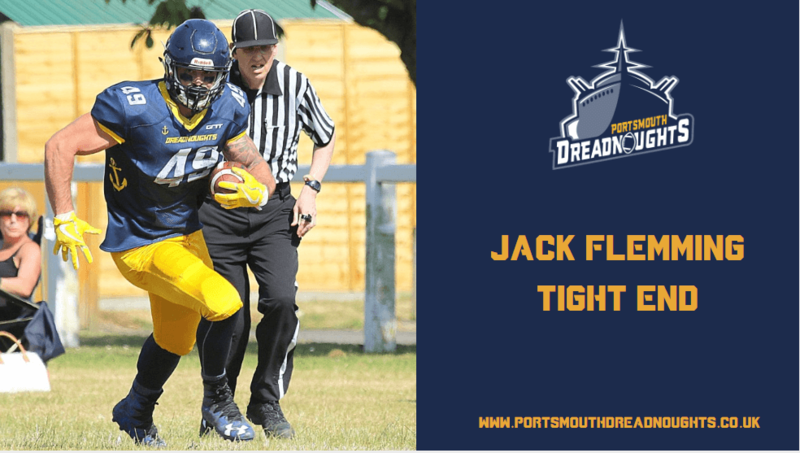 With only 4 days until the start of the season we caught up with Tight End and all round fitness buff Jack Flemming to talk about Strength & Conditioning relating to American Football. Hi Jack, thank you for letting me interview you. To start could you tell us all how you got into American Football? I’ve always been interested in the sport through watching the NFL every Sunday and I knew a guy who played for the Dreads already so my plan was to just come down and watch a few home games but he persuaded me to give it ago and here I am. You are someone who loves Strength & Conditioning away from football, how did you adjust your training to help you become a better football player? In the off season I tend to run a bodybuilding style of split with 5 days on and 2 days off an example being chest/triceps – legs – back/biceps – shoulders – upper/lower body. The last workout will mainly depend on how my body has reacted to the previous workouts. The main focus in the off season is to try and gain as much muscle mass through TUT (time under tension). I normally try to aim for a 3 second negative and an explosive positive, other techniques are forced reps and super sets but I react the best to TUT. I would normally do 4 exercises for each muscle group , some people do 3 or 5 but 4 seems to work well for me. The rep range is around 8-12 reps. When I get to pre-season training I remove the upper/lower day because of practice but keep the other four days as normal. I go to a strongman type of training instead of TUT with that being 5 sets of 5 reps and mainly compound movements such as bench/deadlift/squat, but I will also add in a few isolation movements to hit all the angles of the muscle. The main focus of these workouts is to be explosive which will transfer on to the football field whether that is when breaking down at the top of a route or being able to make and sustain a block. What would you say are the best training techniques for American Football? I really benefit from the 5×5 training in regards to strength. To improve my fitness in pre-season I use the stair master, I hate it with a passion but the benefits outweigh my hatred. It’s really about finding what works for you and that is very dependent on your position and how your body reacts to certain exercises and methods. You are a standout athlete on the team, please give the readers an idea of the level of commitment it takes to get to and stay at a high level? It’s all about getting into the routine and making everything a habit. I train 5 times a week, I eat reasonably clean and get around 5-6k calories a day. Every gym session/practice/film whatever it may be is all going towards the goal of trying to be the best athlete I can be which will benefit the team. None of these things are a chore if you’re fully committed to making yourself a better player, once you start to see the results they become addictive whether that be improving your bench press or your 40 yard time. What are you goals in regards to American Football and how are you feeling about the 2019 season? My goal is to be the best player that I can be so I can be beneficial to the team. We’ve had a really good pre-season and all the players have majorly improved in the last few months. I think it’s fair to say we are all looking forward to Sunday! First game against Solent Thrashers, South coast derby, what message do you have to players to get them up for it? If the boys can’t get fired up for playing a team that is located in an SO postcode I don’t know what else I can say! You’ve recently had an injury you are recovering from, what advice would you give to people on how to look after your body to prevent on recovery from injuries? Main thing is to listen to your body, if you think you have done some serious damage you need to get it checked out because you are only harming yourself and your team mates in the long run. My main suggestion for looking after your body are deep tissue massages. They aren’t the most enjoyable of massages but within a few days you will feel the benefit. Ice baths and foam rolling are also a few favourites. 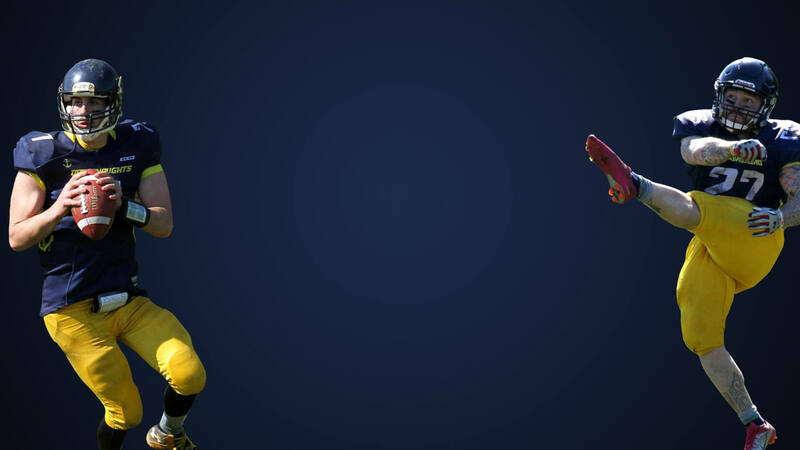 Favourite NFL Player & why? Gronk, unbelievable player, would love to go to one of his socials. Would you rather free gym for life OR win the national championship with the Dreads? Great insight their from Jack on both the training and attitude required to be a stand out player. To see Jack in action you can catch the Portsmouth Dreadnoughts at Test Park Southampton as they play away against the Solent Thrashers.